GAZA CITY, Gaza Strip — Happily jumping around, Ilaa, 3, drops a couple of Christmas ornaments on the floor of Hadayana gift shop in Gaza’s al-Wahda neighborhood. Finally, she chooses the silver ornaments. Her mother, Bissan al-Qishawi, laughs at her daughter’s clumsiness as she helps her pick up the balls and Santa’s chocolates that scattered on the floor. “We have a Christmas tree that I bought years back. We are buying new ornaments. All I wish for is to raise my daughter to be loving and tolerant. This is why we are celebrating the occasion with Christians,” Qishawi, a Muslim, told Al-Monitor on Christmas eve. Qishawi’s two daughters, Ilaa and Salma, wake up the following morning to their gifts under the tree. “I want them to forget the gloominess of war and its traumatic memory,” she said. The Qishawis are not an exception. 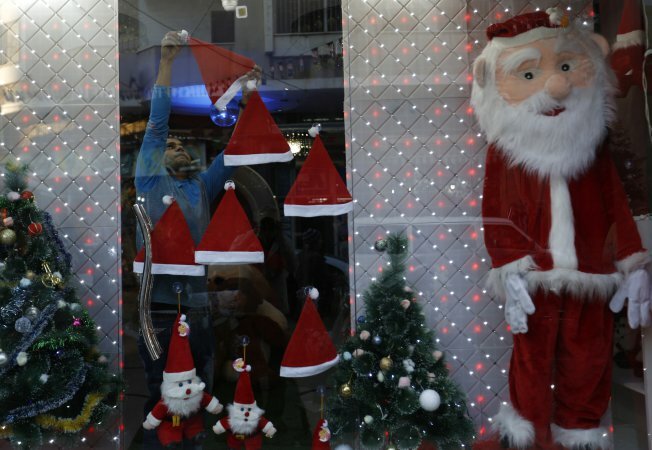 Many Muslim families in Gaza celebrate Christmas. Umm Fawzi, for example, who did not want to give her real name, bought a $90 tree. She told Al-Monitor, “I wanted to bring joy to my four kids and forget the woes of this year and the memories of war. At the end of the month I make sweets and my husband and I light up the tree. We are all very excited because the tree is big this year.” Umm Fawzi knows how important it is for children who grew up amid war and division to be raised to love all Palestinians, Muslim and Christian alike, and to celebrate all holidays. 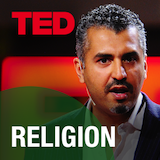 “TED offers a space in which voices similar to these religious and political leaders of the Muslim World can take center stage in order to better understand internal Muslim debate with the realization that there is no such thing as a monolithic Muslim culture or “psyche.” To see 1.5 billion Muslims as constituting a single, undifferentiated, monolithic community is highly problematic, as they come from a diverse range of geographical, social, economic and political settings, each informing their worldview. place in the contemporary world. It was around this time last year that the trustees of Bradford’s final remaining synagogue faced a tough choice. The roof of the Grade II-listed Moorish building was leaking; there was serious damage to the eastern wall, where the ark held the Torah scrolls; and there was no way the modest subscriptions paid annually by the temple’s 45 members could cover the cost. Rudi Leavor, the synagogue’s 87-year-old chairman, reluctantly proposed the nuclear option: to sell the beautiful 132-year-old building, forcing the congregation to go 10 miles to Leeds to worship. It was a terrible proposition, coming just after the city’s only Orthodox synagogue had shut its doors in November 2012, unable to regularly gather 10 men for the Minyan, the quorum of 10 Jewish male adults required for certain religious obligations. But rather than close, Bradford Reform Synagogue’s future is brighter than ever after the intervention of Bradford’s Muslim community, which according to the 2011 census outnumbers the city’s Jews by 129,041 to 299. 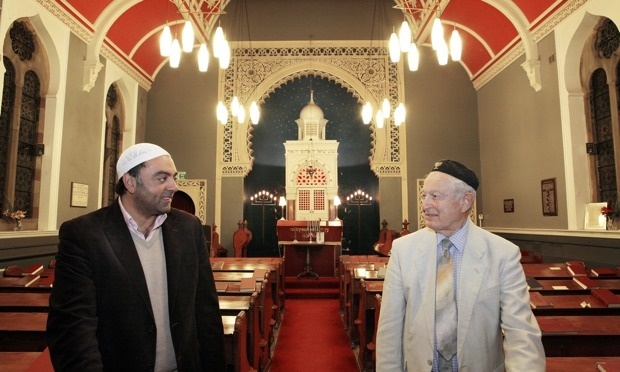 A fundraising effort – led by the secretary of a nearby mosque, together with the owner of a popular curry house and a local textile magnate – has secured the long-term future of the synagogue and forged a friendship between Bradfordian followers of Islam and Judaism. All things being well, by Christmas the first tranche of £103,000 of lottery money will have reached the synagogue’s bank account after some of Bradford’s most influential Muslims helped Leavor and other Jews to mount a bid. Hindu right-wing organizations may have backed down on mass conversion programmes on Christmas Day, but the debate about conversions is not going to go away in a hurry. It is commonly held that Islam and Christianity, the religions of the rulers across India for several centuries, were pushed down the throat of Hindus and tribals. Historian Richard Eaton has, however, highlighted some of the fallacies, particularly with regard to Islam. The “geography of conversions” in the Indian subcontinent, according to him, reveals an inverse relationship between the degree of Muslim political penetration and the degree of conversion to Islam. So the heaviest conversions occurred in Punjab and Bengal, which were on the fringes of the Indo-Muslim empires, and much less in the north Indian heartland. Eaton argues that three dominant theories — conversion by sword, for political and instrumental reasons and mass lower caste conversions — don’t stack up. Instead, he says, conversion was a gradual process whereby “preliterate peoples on the ecological and political frontier of an expanding agrarian society became absorbed into the religious ideology of that society”. As with conversions to Islam, the story with Christianity is hardly straightforward. It is often forgotten that Christianity and missionary conversions existed in India long before the British came. Their origins in India go back to the first century of the Common Era. 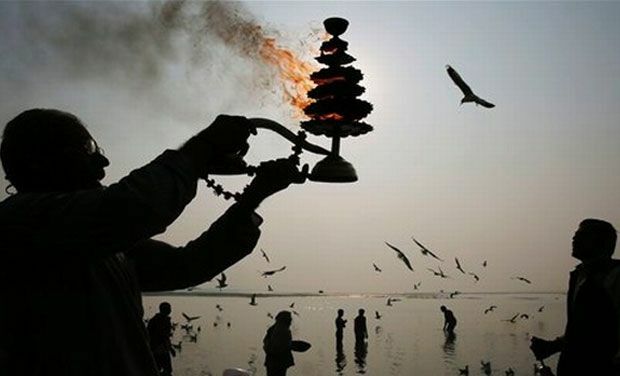 However, the public discourse on conversion in independent India has been influenced by the acrimonious debate on conversion during the colonial period. BERLIN — After the latest of his sermons denouncing the Islamic State, Mohamed Taha Sabri stepped down from an ornate platform at the House of Peace mosque. The 48-year-old chief preacher then moved to greet his congregation, steeling himself for the fallout. In the era of the Islamic State, the wrong path has become all too familiar ground at the House of Peace. 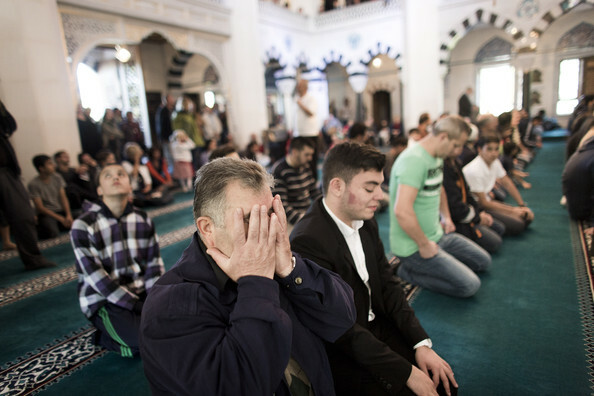 Nestled between the kebab restaurants and bric-a-brac shops of an immigrant neighborhood in south Berlin, the liberal mosque stood for years as a temple of tolerance where battered Muslim women could find help divorcing their husbands and progressive imams preached a positive message of religious tolerance. 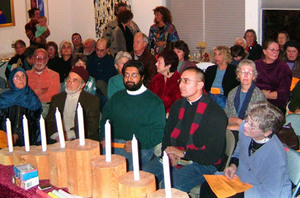 Bringing together speakers from all faith traditions to reflect on peace in this season, Peace Chanukah is the only interfaith ceremony of its kind in Taos. It has become a favorite holiday gathering for many Taoseños. All are welcome to participate in the event which includes the lighting of Chanukah candles, storytelling and song. This year, Peace Chanukah takes place on Wednesday (Dec. 17), on the second night of Chanukah for 2014. The program begins at 5:30 p.m. and ends at 7 p.m. There is no cost to attend, and everyone is welcome. Those who are able are encouraged to bring nonperishable food items to the event as part of a collection for The Shared Table and the Taos Coalition to End Homelessness. St. James Church is located at 208 Camino de Santiago. Speakers at this year’s gathering include Pastor Steve Wiard (El Pueblito United Methodist Church), Sean Murphy (Zen Buddhist), Mya Coursey (Unitarian Congregation of Taos), Rev. Susan Varon (interfaith minister – Unity of Taos), Fr. Mike Olsen (St James Episcopal Church), Janet Burstein (Hindu), Heyam Khweis (Muslim) and Diana Rico, who will speak on Catholic perspectives on peace and justice. 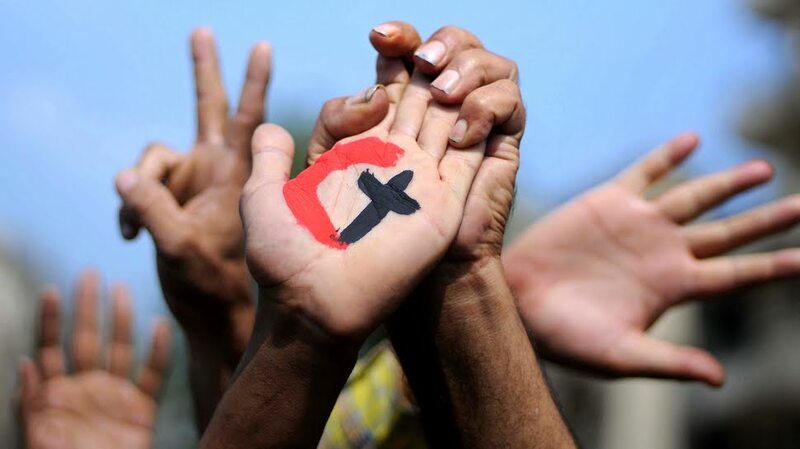 Cairo/Aleteia (Aleteia.org/ar) – Muslim and Christian theologians agreed to promote the concept of brotherhood among Christians, Muslims and adherents of other religions in the face of terrorism carried out in the name of Islam. Last week, Al-Azhar, the highest authority for Sunni Islam, convened an international conference on terrorism at al-Azhar University in the Egyptian capital on Wednesday and Thursday (12/10 and 12/11). The conference brought together 600 Islamic and Christian theologians from 120 countries and included several patriarchs or their representatives. The conference was led by both Coptic Orthodox Pope Tawadros II and the Grand Imam of al-Azhar Mosque, Sheikh Ahmad al-Tayyib. Participants stressed a priority of applying the “moderate way” of Islam. The meeting centered on the necessity of teaching the correct concept of “Jihad” and opposition to brainwashing the youth who are fighting alongside the Islamic State group. Though the conference condemned terrorism in the name of Islam, which distorts the true face of the religion, al-Azhar issued a statement formally rejecting the labeling of Islamic State fighters as apostates. The publication Asharq al-Awsat explained that the practice of one Muslim declaring another to be an apostate–takfirism–is controversial within Islam. “While this is something that is actively practiced by Islamist groups like ISIS, it is generally rejected by adherents of mainstream interpretations of Islam,” the publication said. “Al-Azhar rejects the takfirism of ISIS…. Because takfirism cannot be applied to any believer, regardless of his sins,” Al-Azhar said in a statement in response to comments made by the Mufti of Nigeria during the counter-terrorism conference. In their closing statement, participants said that “terrorizing the safety of civilians, killing the innocent and attacking holy places are all crimes against humanity, and Islam severely condemns such acts.” Muslims, Christians and followers of any other religion in the Middle East are brothers and citizens who are caretakers of the same land, the conference concluded, noting the long history of coexistence in the Middle East. The conference pleaded with Christians not to leave but to stand steadfast until the current storm passes. Hostilities against Christians and the faithful of other religions through false piety are considered disobedience to the true teachings of Islam, it said.